Ten years ago in October, Apple announced a game-changing device: the $400 5GB iPod Classic. This Tuesday the iPod Classic (now $250 with 160GB storage), with its signature click wheel design and massive storage capacity, is rumored to play its last digital tune. All signs point to Apple discontinuing iPod Classic as it focuses on the iPhone, iPad, and iPod Touch. iPod watchers predict Apple will make it official on Tuesday during its iPhone press conference. There will likely be little protest by Apple fans. But the iPod Classic will be remembered as one of the most pivotal portable music devices. It's hard to think of a single device that has changed the tech industry in the last 10 years as much as the original iPod. When Steve Jobs announced the iPod at the Apple campus on October 24, 2001, digital music foreign to most except for geeks and Napster music pirates. Many consumers hadn't even heard of an MP3 player. Now that iPod is at a crossroads. Fast-forward ten years. Today the word "iPod" is iconic. Apple dominates the business of selling digital music tracks and has a lock-tight grip on digital music players. While Apple and the iPod can't take all the credit for that change, they've certainly been a driving force behind online music. When Apple launched the iPod in 2001, portable CD players and cassette-tape based Sony Walkman ruled the portable music landscape. Apple was still in recovery from its disastrous turn in the 1990s without Jobs, and the few gadgets Apple had put out, such as the Newton tablet, were commercial failures. The iPod Classic was something new, quaint by today's standards. The screen is a low resolution black-and-white LCD and the hardware is little more than a 5GB 1.8-inch hard drive with some buttons strapped to it. The scroll wheel, or "click wheel" as it was called because of the click, click, click sound it made, actually turned. A series of quick updates expanded the hard drive, replaced the mechanical scroll wheel with the touch-sensitive style users are familiar with today, and brought Windows compatibility to the iPod. But the next big thing in iPods would come in 2003, when Jobs introduced a new way to buy music for the device. While the iPod was always a relatively successful product, it took a while to really take off. According to Apple's own sales figures the iPod took a year and a half to sell its millionth iPod in May of 2003. 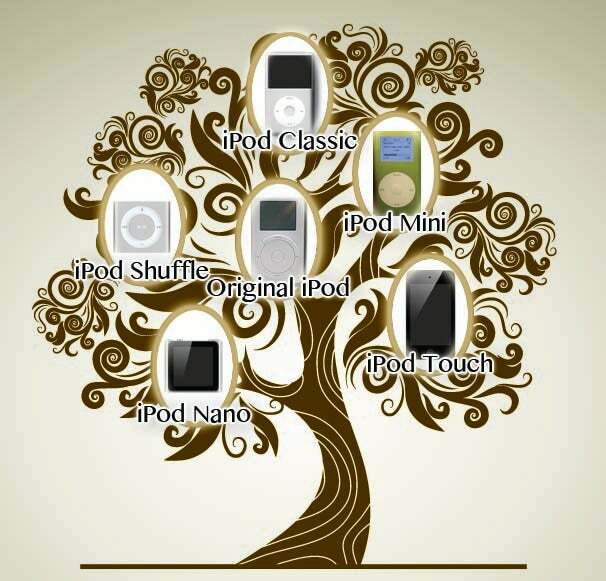 By the end of 2004 the company had sold over 5 million iPods. A large part of that jump in popularity can be attributed to the launch of the iTunes Music Store in 2003. When the service was launched, music piracy was rampant thanks to services like the original peer-to-peer file sharing software called Napster, and the music labels were actively hostile to the idea of putting music online. While the initial service drew criticism for some of the compromises it made (its reliance on DRM to satisfy record labels was a particularly large target) it quickly became the most popular online music service and sold its first million songs in less than a week. Even more impressively it hit these numbers before iTunes was even available on Windows. By last year the iTunes store had served up more than 10 billion music downloads. While the iTunes store brought Apple a healthy chunk of change, the iTunes Store was really a strategy to sell iPods. This strategy seems to have been moderately successful. 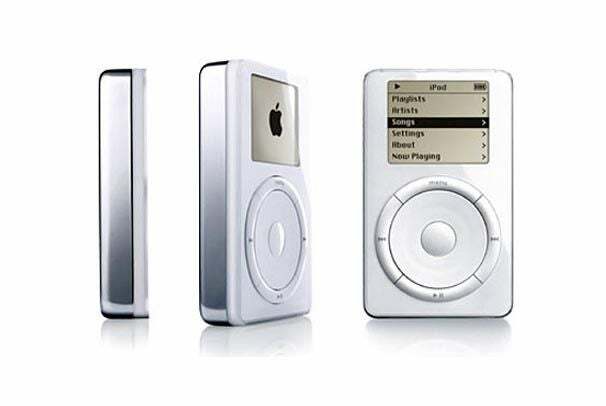 To date, according Apple's own quarterly sales figures, the company has sold more than 300 million iPods. Those numbers include more than just the iPod Classic. Over the years, the iPod stopped being a single device and started to be the core of a family of Apple music players and other digital devices. 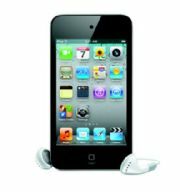 At first the iPod was the solid center of the iPod product line with the smaller Mini, Nano, and Shuffle lines seeming more like cheaper bare-bones alternatives to the original iPod. Apple continued to upgrade the iPod over the years and it gained features such as a color screen and video playback and for a while it seemed like the iPod would always be Apple's flagship gadget. But then the iPhone arrived in 2007. The practically button-less touchscreen phone soon became the standard for the design of most iDevices. Apple introduced the iPod Touch the next year for those who wanted the sleek new interface without the AT&T contract. The interface made its way to the iPad (largely derided at launch as just a big iPod Touch) and even to a tiny one-inch screen on the newest generation of iPod Nano. The iPod Classic hung around for those who wanted a dedicated music player but Apple had finally released a device that would outshine the classic MP3 player. In recent years, the iPod Classic's sales numbers have dropped off as younger, sexier Apple gadgets, such as the iPhone and iPad, have become more popular. As more consmers put their music on their phones and tablets, or even stream it using services such as Spotify, the iPod seems increasingly out-dated. Still, the iPod Classic moves enough units to hold its place in the iDevice line. But Apple's interest in the device has waned--in fact, Apple hasn't even refreshed the iPod Classic's hardware since September 2009, which is basically an eternity for an Apple product. The beginning of the end for the iPod Classic was the rise of flash storage. For years, the iPod Classic banked on a huge physical hard drive that allowed users to store massive amounts of content. Soon, however, flash storage will change that. Experts say the real turning point will come when Apple is able to release a 128GB iPod Touch. The 128GB threshold is enough space for Apple to court most customers, even those who have a lot of music. If Apple expands the storage space of the Touch to over 100GB at next week's press event, the iPod Classic's 10-year-reign as the world's most popular MP3 player will probably be over. But, even if the iconic iPod Classic dies, you'll still be able to see its influence in the tech DNA of almost every device Apple sells.